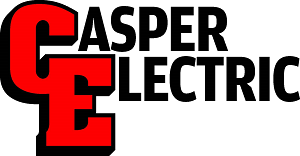 Founded by Master Electrician Willie Hansuld, Casper Electric has been serving the electrical needs of Wyoming for more than three decades. We started as a small family business back in 1984. Over the years, as the business grew, we invested heavily in building capacity and purchased construction equipment required for large-scale public and private construction projects. We have deep local roots and vast experience dealing with the special challenges of building in Wyoming. Today, Casper Electric has become one of the premiere electrical contracting businesses in the state. We have civil and electrical engineers on staff, and employ many master, journeymen and apprentice electricians. We provide Wyoming businesses and public enterprises with complete end-to-end electrical contracting services. We’ve successfully completed several multi-million dollar projects and have the expertise to take on just about any construction challenge. But we’re still your local electrician, and our residential customers can expect friendly small-town service for their routine maintenance, installation and upgrade needs. We have also acted as the primary contractor on several ground-up construction projects, and understand every aspect of the building process. Casper Electric’s adaptability, in-house equipment, and construction experience enable us address unexpected challenges efficiently. From rewiring outlets and installing ceiling fans to hard wiring complex industrial buildings to road or utility construction projects, Casper Electric can meet the full range of residential, commercial and industrial electric needs.